Multi-Party government based on universal suffrage is the most advanced political form of full-fledged capitalism. To demand more from capitalism is erroneous. To go beyond it means entering into the region of socialism. The responsibility of ushering the worldsociety, hand in hand on to socialism, rests with the working class. The working class will have to accomplish this task by building up their own independent political organization and by using the universal suffrage as the instrument of emancipation. This auspicious meeting is to assess hundred years of “the Bolshevik coup d'etat” (as characterized by John Reed, Ten Days That Shook The World, Notes and Explanations, written - January, 1919, Progress, Moscow, p-18, and introduced by Lenin by the end of the year in the following words: “Here is a book which I should like to see published in millions of copies and translated into all languages. It gives a truthful and most vivid exposition of the events so significant to the comprehension of what really is the Proletarian revolution and the Dictatorship of the Proletariat.”) which heralded the birth of State Capitalism in Russia and postponing socialism by a century. Let's let Mr Money retire from the management of our mode of survival and find shelter in a museum niche to rest beside flint stone hammers, anvils and bronze axes. Visitors might then like to stop a while in front of the niche, ponder over the antique family accommodated therein and discover Mr Money among them; but this time with a difference. For the old, Mr Money might still rouse great reminiscences, but for the young merely an inquisitiveness about an odd article, now stripped of any individuality. Our kids would surely be much amused to observe the currency note with printing on the paper and ask "What's that, mummy? ", "Papa, what is it?" and we "papas" and "mummies" would be prompt enough with our ready knowledge: "That was money." "Well, what was money?" our kids would wonder. 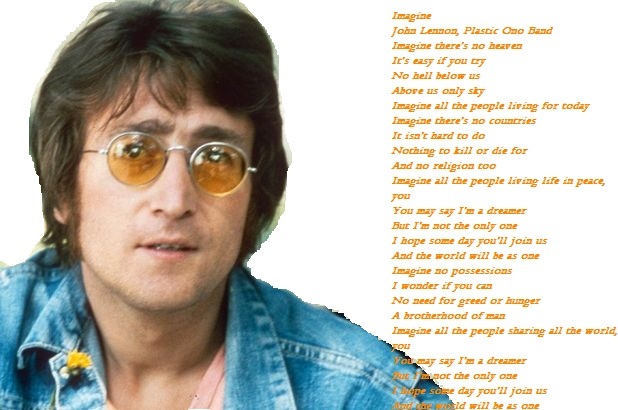 "Money was what money did." Anyone who reads the English newspapers and also the journals which put the point of view of the Indian Nationalists, will find himself presented with two pictures of Indian affairs and Indian problems which clash very violently with each other. From the Indian side we are told that the 320 million who live in that huge area are suffering great wrongs at the hands of tyrannical British authorities, and are united in a desire to overthrow foreign rule and establish their right to govern themselves outside or inside the British Empire as they may freely desire. It is admitted on all sides that millions of the peasants and workers in India are desperately poor, permanently undernourished, and subject to devastating diseases in time of famine. In 1918-1919, during an epidemic of influenza, the loss of life reached the enormous total of 12 millions, equal to about a quarter of the population of this country. And poverty is not the only evil which persists in India after generations of paternal British government and innumerable promises of benefits to be showered on the Indians by their foreign masters. Capitalism was progressive during its ascendance i.e. in its formative stage. During this phase all its necessary formations and reformations were progressive, even though it emerged having been drenched in blood and gore. Both the capitalist and working classes were sprouting, growing – evolving. All the productive forces – means of production, instruments of labour and labour power - were developing within the womb of the new born relations of production. Hence here the working class movements for formation/reformation were progressive simply because elimination of capitalist relations, which were just taking shapes, was out of the question, even though consciousness about its negation i.e. socialism, began to appear as working class ideas and interests alongside the ruling ideas and interests of the capitalist class. Both classes were involved in severing feudal relations of production and installing capitalist ones. Critique of Paresh Chattopadhyay's "Twentieth Century Socialism"
The advent of private property hand in hand with social division of labour in antiquity had eventually given rise to the array of economic categories of value with its surface layer of all various prices. This process alienated and fragmented society into competitive individual owners of self-acquired properties over means and instruments of production and distribution, and finally gave rise to classes and class struggle. In this era of capitalism's decadence the general strike (or ‘Bandh’) for more reforms or mere protest is futile. It has lost its edge. Its usefulness has become ineffective vis-à-vis world level productive abundance. It is not the answer to the problems produced by the potential and from time to time actual ‘epidemic of overproduction’ (Communist Manifesto) that is prevalent today. During its rising phase capitalism, i.e. the capital/wage labour relation, was spreading out by swallowing up antiquated pre–capitalist economic relations and transforming the feudal social classes into two great modern antagonist classes – the minority collective capitalist class vis–á–vis the majority collective working class – or as in recent parlance 1 percent vs. 99 percent. Feudal relations of production were giving way to the capitalist relations of production. Marx became a socialist sometime towards the end of 1843 or beginning of 1844, Engels a little earlier. Previously the both of them had been "Young Hegelians", that is followers of Hegel's philosophy who gave it an atheist and radical-democratic interpretation. Hegelian philosophy, the dominant school in Germany at the time, was thoroughly Idealist holding that ideas, and even the Idea, made history. During 1845 and 1846 Marx and Engels wrote a criticism of this view which they called The German Ideology. 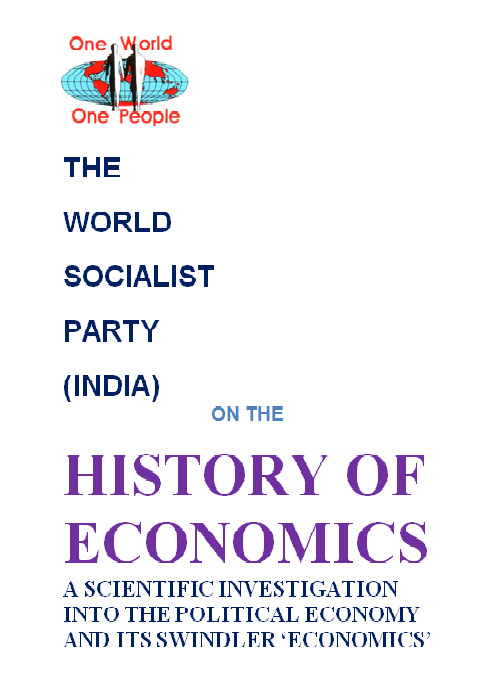 This book, for which they were unable to find a publisher, is important because in it Marx and Engels set out in more detail than in any other of their writings their alternative, materialist conception of history. "One nation can and should learn from others. And even when a society has got upon the right track for the discovery of the natural laws of its movement - and it is the ultimate aim of this work to lay bare the economic law of motion of modern society - it can neither clear by bold leaps, nor remove by legal enactments, the obstacles offered by the successive phases of its normal development. But it can shorten and lessen the birth pangs." In the middle of this last millennium the search for markets, sources of raw materials, cheap labour power and most profitable locations for business gave rise to ? "colonialism", having transcontinental ramifications into all pre-capitalist formations. This indicated capitalism’s global dimensions right from the beginning. 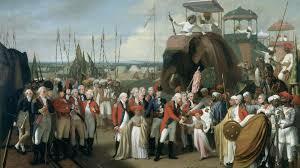 It was British merchant capital which navigated Job Charnock, who on 24 August 1690 arrived at the village of Sutanuti that later developed into the capitalist city of Calcutta, the first capital of British India. “The bourgeoisie cannot exist without constantly revolutionising the instruments of production, and thereby the relations of production, and with them the whole relations of society,” wrote Marx and Engels in 1848 in Manifesto. According to Marx, capital as “self-expanding value” (V = c+v+s, where V = Value, c = constant capital, v = variable capital and s = surplus value) constantly coerces its personified functionaries, the capitalists, to look for maximum profit by raising the rate of surplus value (exploitation) i.e., by raising ‘s/v’ that pushes up the organic composition of capital or ‘c/v’, which reciprocally (tendentiously though) reduces the rate profit ‘s/(c+v)’. 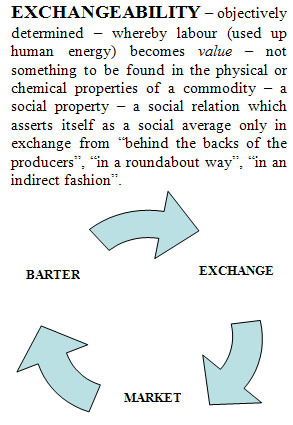 Objectively determined – whereby labour (used up human energy) becomes value – not something to be found in the physical or chemical properties of a commodity – a social property – a social relation which asserts itself as a social average only in exchange from “behind the backs of the producers”, “in a roundabout way”, “in an indirect fashion”.